SOUTH African mines minister, Gwede Mantashe, lauded a decision by Anglo-Australian group, Rio Tinto, to expand Richards Bay Minerals (RBM) saying the investment confirmed work his government had been doing to improve the country’s business reputation. The group announced earlier this week that it would invest $463m, about R6.5bn, in the Zulti South project which would sustain RBM’s current capacity and extend its life of mine by more than three decades. “The investment is an affirmation of South Africa’s attractiveness as an investment destination,” said Mantashe in a statement. “It confirms South Africa’s stable and predictable policy and regulatory environment,” he added. Rio Tinto’s investment decision follows – among others – the recent $400m investment by Vedanta in Gamsberg in the Northern Cape. 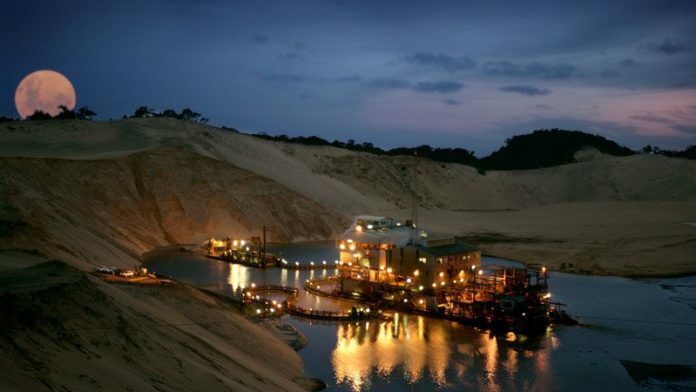 According to Rio Tinto CEO Jean-Sébastien Jacques, Zulti South is one of the best undeveloped mineral sand deposits in the industry, and will extend RBM’s position as a world-class, first-quartile asset. “The long-term fundamentals of the market remain strong, and production from Zulti South will commence in time to fill a widening supply gap, ensuring RBM’s position as a leader in the sector, and delivering strong returns to our shareholders,” Jacques said.